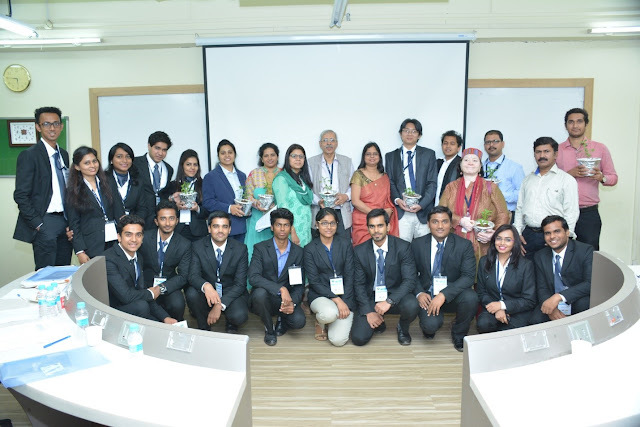 Mumbai, Feb 13 2017 Vivekananda education society’s Institute of management Studies and Research (VESIM) conducted an international conference on “Social Entrepreneurship and Social Responsibilities: A Sustainable Approach to Economic. The seminar was organized with the intention of encouraging the awareness about social entrepreneurship, which is going to be the future game changer for development in India. The seminar exhorted the youngsters to take to social entrepreneurship as a serious career option. Eminent personalities from the academic and industries delivered insightful and inspiring speeches. Dr. Anil K Rajvanshi from Nimbkar Agricultural Research Institute (NARI) in Phaltan exhorted the young students to take up social entrepreneurship as a mission to address the many challenges faced by rural India. He said that over 70 percent of India’s rural households depend on agriculture as their chief means of livelihood. And today they face innumerable hardships and problems. It is where today’s younger generation has to pay their attention to. “You can’t eat nuts and bolts and softwares. You need to have real food to eat. And the food comes from these farmers,” he said. He explained why NARI developed the much-acclaimed lanstove that runs on kerosene for the rural households which have electricity. NARI’s the kerosene lanstove is as clean and easy to use as LPG for rural India and it acts as a good light source. It can be simultaneously used to cook a meal for a family of 4-5 people or to boil 10 liters of water. He maintained that it is not just about the money, but the passion within to do something for the society that should drive the student community to plunge into social entrepreneurship. Dr Jyoti Bachani, Associate Professor of Strategy and Innovation, Saint Mary’s College of California USA, dwelt at length on how an NGO solved the Jhabua district's grave water problems, which made life difficult for the local tribals. “When I left for the US thirty years ago, I saw children begging on the street. Thirty years later, when I came back to India, I saw the same scene in our streets: children begging on the streets. Nothing has changed on the ground level. We can’t talk about development without making it inclusive,” she said. VESIM Director Dr Satish Modh said: "The idea behind this seminar was to sensitise the youth the need to give back to the society. In today's dog-eat-dog world of competition and self-aggrandazing attitude events like this assume greater significance. We lined up the most eminent speakers from around the world to inculcate a sense of empathy among the student community. 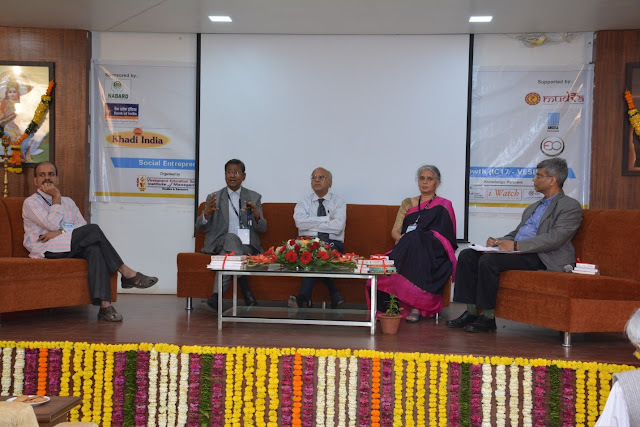 The message was emphatic: we should serve the society in whichever way we can"
The day two saw speakers like Prof. Purushottam Kaushik, Senior Advisor - McKinsey, Smart Cities and Infrastructure, Govind Prabhu Das, Iskcon, Mr. M.V. Ashok, Chief General Manager , NABARD,Mr. Kishore Rao – CEO Khadi Village Industry Commission, Mr. M.V. Ashok, Chief General Manager , NABARD, Mumbai, delivering their address. 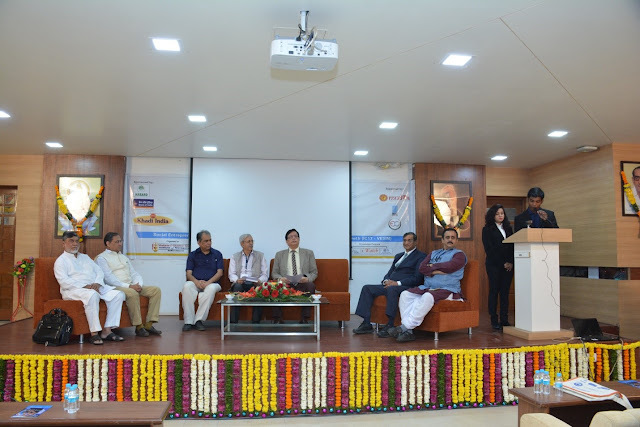 Vasantdada Sugar Institute Director General Prof Shivajirao Deshmukh, Bank of India General Manager RK Sinha, Prof Anil Gupta from IIM Ahmedabad, Mukul Kanitkar, and Akhil Bharatiya Organizing Secretary of Bhartiya Shikshan Mandal also addressed the gathering.